» Are Australians ‘tyred’ of dockless bike sharing? Are Australians ‘tyred’ of dockless bike sharing? 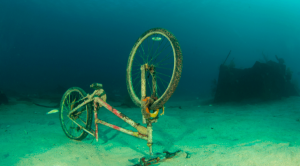 If you’re thinking about signing up for bike sharing, you might want to consider a docked service. Earlier this month, bike sharing company oBike pulled its services from Melbourne following an announcement from the Victoria Environmental Protection Agency that the city would be instituting a new hefty fine for bikes left in hazardous locations. The future of the company in Adelaide and Sydney is still unclear. oBike isn’t the only struggling bike sharing service. Less than a year after the world’s largest bike sharingplatform first launched in Australia, ofo announced its decision to leave Australia. Australian owned Reddy Go is also restructuring its services. Though it remains to be seen if the company plans to close entirely, the fact that it’s giving away its bikes certainly isn’t a good sign. All three companies have remained silent on their websites and social media about ongoing changes. While other popular overseas ventures have entered Australia with lacklustre results, there seems to be a unique hostility towards bike sharing among Australians. Why aren’t Australians embracing bike sharing? Strict helmet laws may be partly to blame. While companies like ofo, Airbike and CityCycle attempted to provide every customer with a courtesy helmet, in reality, many helmets were lost or stolen. Some customers opted to use their own helmets, but carrying a helmet around lessens the convenience of using a shared bike.